Seek out adventure on a tantalising trip through Brazil and Argentina. Enjoy the wood-grilled parillas in Buenos Aires or while away the night in one of Buenos Aires' sultry tango clubs. See the jaw-dropping power of Brazil's Iguazu Falls and the vastness of the Pantanal wetlands along the way. Meet up with Cariocas for caipirinhas in Rio de Janeiro and revel in the raucous atmosphere of this captivating city. Explore the most exotic places to visit in Brazil, pass through small historic towns and spend time discovering the best of Argentina's attractions. Tap your foot to the beat of the tango in Argentina before swinging those hips to the sway of the samba in Brazil. This feisty South American tour is an irresistible way to become submerged in the energies of Brazil and Argentina. Border information: if you are joining in Buenos Aires, you will most likely enter Argentina at Buenos Aires Ministro Pistarini International Airport, also known as Ezeiza Airport (IATA code: BUE/EZE). Welcome to Buenos Aires, the wonderful capital of Argentina! There will be an important group meeting at 6:00pm at the joining hotel - please look out at the hotel reception for a note from your leader with more details about this important meeting. Please note that many of the options listed below will only be possible for those with extra time in Buenos Aires before the start of your trip with us - please contact the Sales team if you would like to book pre-tour accommodation with us to have extra time exploring Buenos Aires. In Buenos Aires we will stay in a centrally-located hotel. Hotel for the night: Hotel Mundial Hotel Mundial Avenida de Mayo 1298 - 1085 Buenos Aires Argentina Tel: +54 11 5254 0001 OPTIONAL ACTIVITIES Discover the beautiful Teatro Colon on a tour around the theatre, or see one of its free afternoon performances (when available) : ARS 150 Take the ferry over the river to Uruguay, and explore the serene colonial town of Colonia del Sacramento for the afternoon before returning : USD 45 Head out to an tango show in Buenos Aires' oldest cafe, the Gran Cafe Tortoni - seeing a slice of iconic Argentine culture in an ideal and intimate setting : ARS 320 Visit the strangely beautiful cemetery of Recoleta, the final resting place of many ex presidents and Argentine icons, most famously including the tomb of Eva Peron : Free Try your hand at the art of tango dancing with a private lesson in Buenos Aires : USD 25 See a different side to Buenos Aires on a tour of its incredible street art with some of the local artists : USD 20 Learn all about the cuisine of Argentina on a food tour of Buenos Aires, visiting several incredible local top-class eateries that you won't find in the guidebooks! : USD 85 Try some of Argentina's most delicious wines on a top-level wine tasting afternoon in Buenos Aires : USD 52 About Buenos Aires: At the mouth of the River Plate estuary (where the Uruguay and Paraná rivers flow out into the Atlantic Ocean) lies the fabulous city of Buenos Aires, the cosmopolitan capital of Argentina. It's a buzzing, energetic city that often feels more European than Latin American, so much so that it's often referred to as "the Paris of the South". There is a huge amount to do see and do here, and it's a fantastic city to explore on foot and using the extensive metro system. Some areas to check out include San Telmo, a bohemian district full of charm, antique shops, street markets, and some excellent bars; Palermo, with its fantastic restaurants and nightlife; and Recoleta, the "Mayfair" of Buenos Aires and home to the La Recoleta cemetery, Eva "Evita" Perón's final resting place. The waterfront area known as La Boca is also worth exploring, a very photogenic district with its ramshackle buildings being painted in a rainbow of different bright colours. Everywhere you go you'll be surrounded by some fantastic architecture. The Plaza de Mayo is perhaps the most historically interesting, as this is the site of the Cabillo (original town hall), Casa Rosada (the Presidential Palace) and the cathedral where the body of General San Martín lies. In the evenings, you are spoilt for choice - Buenos Aires has a vibrant nightlife, with a huge number of bars and night clubs to choose from. Restaurants here vary from cheap and cheerful to world class, and it's a great place to get stuck into some of Argentina's finest steak and red wine. Of course this is also the home of Tango, and there are many evening Tango shows you can buy tickets for or even take a dancing class yourself! Today we have a full day drive north though the provinces of Entre Rios and Corrientes, aiming to reach the beautiful village of Yapeyú on the banks of the River Uruguay. Yapeyú is very famous amongst Argentines for being the birthplace of their national hero General Jose de San Martin, one of the liberators of South America from Spanish colonial rule. In Yapeyú we will stay in a municipal campsite. Estimated Drive Time - 10-11 hours (please note that all drive times given here are the approximate number of hours that the truck will be in motion only, and does not include any time taken for coffee or lunch stops, border crossings, photo stops, activities en route, comfort breaks, shopping stops, toilet stops, etc. The times given are approximate estimates only and whilst given with the best of intentions, the drive times are heavily dependent on traffic, road conditions, weather, police roadblocks, and many other factors - flexibility is essential on any overland trip!). Border information: Exit Argentina at Tancredo Neves, enter Brazil at Tancredo Neves. Today we cross the border into Brazil and drive to the city of Foz do Iguacu. In Foz do Iguacu we will camp in the grounds of an excellent hostel out of town, with good facilities and a pool. Estimated Drive Time - 7-8 hours. About Foz do Iguaçu: Foz do Iguaçu (meaning "Mouth of the Iguazu River") is the Brazilian town nestled against the double-border with Argentina and Paraguay. The town is of course most famous as the base for exploring the incredible Iguazu Falls, and the Brazilian side of the waterfalls offers visitors a very different perspective - there are a number of cleverly constructed walkways that allow you to get right out over the water up close to some of the falls themselves, and you will often be able to see fantastic rainbows forming as the sun catches the spray. For the ultimate waterfall viewing experience, you can also organize helicopter flights from the Brazilian side, where you'll be taken out right over the falls to give you a breathtaking view of this natural wonder from a totally different perspective. There is also a fan static bird park in Foz, where you can see many of Brazil's native species including toucans and macaws. You can also visit the incredible Itaipu Dam, the world's second-largest dam (after the Three Gorges Dam in China) that stretches across the River Parana between Brazil and Paraguay, and a marvel of modern engineering. Today we will visit the Brazilian side of the phenomenal Iguazu Falls, to get some incredible panoramic vistas of the mighty waterfalls. There is also plenty of time to visit the bird park, take a helicopter ride over the falls, see the incredible Itaipu Dam, or quickly stop into Paraguay to pick up some bargains in the nearby Ciudad del Este. INCLUDED ACTIVITIES See the mighty Iguazu Falls from the Brazilian side, enjoying the incredible panorama of waterfalls and exploring the beauty of the area : Included in Kitty OPTIONAL ACTIVITIES Visit the colossal Itaipu Dam, the second largest hydroelectric dam in the world : BRL 68 Visit the Parque das Aves bird park near Foz do Iguaçu, a wonderful conservation project which provides an excellent home to over 1000 iconic birds from the region such as toucans, macaws and eagles : BRL 36 Take an exhilarating speed boat ride around the base of the falls from the Brazilian side : BRL 66 Take an unforgettable 10-minute helicopter flight over the Iguazu Falls, enjoying a bird's eye view of one of the world's most incredible set of waterfalls : USD 125 About Iguazu Falls: The Iguazu Falls, located on the Iguazu River between Argentina and Brazil, is the world's largest waterfall system and one of the most spectacular natural sights in the world! The name "Iguazu" originates from the native Guarani words "y" (meaning "big") and "uasu" (meaning "water") - the Guarani legend says that the falls were created when a deity wanted to a beautiful mortal woman, but when she tried to escape away from him in a canoe with another man the deity sliced the river in two, condemning the water and the lovers to fall for eternity. Visitors can see the Iguazu Falls from both sides of the border - on the Argentinian side there are miles of trails and walkways through the forests and the many waterfalls along the southern banks, culminating in a kilometre-long walkway to the phenomenal "Garganta del Diablo (meaning "Devil's Throat"), the largest and most powerful section of the waterfall system. Millions of gallons of water thunder down violently to the bottom of the huge ravine, forming the most incredible display of power, rainbows, and spray! In the surrounding dense tropical jungle there are many varieties of brightly coloured butterflies and birds, and you can take an exhilarating motorboat ride up close to some of the waterfalls (if you don't mind getting soaked!). ( Day 10 to 11 ) Today we have a short drive to Brazil's amazing Southern Pantanal region, where we have a visit a local eco-tourism ranch (or 'fazenda'). Estimated Drive Time - 3-4 hours. We will spend 2 nights here and have a comprehensive package of included activities such as exploring the beautiful surrounding countryside on horseback, trips down the wildlife-abundant rivers in boats and canoes, and safaris on the ranch's trucks and on foot where we hope to spot capybaras, caimans, and (if we are very lucky) jaguars and ocelots. Our stay here is an incredible highlight! In the Southern Pantanal we will stay in dorm accommodation in a well equipped lodge with all the meals and activities included. INCLUDED ACTIVITIES Activity Approximate Cost Take an unforgettable 2-night fully inclusive package from our eco-lodge in the Southern Pantanal, where we will go out on jeep safaris, canoe expeditions, boat rides, horse back trails, and enjoy a BBQ night with local music and dancing : Included in Kitty About Southern Pantanal: The Pantanal is a vast wetland that covers much of inland central and southern Brazil - it is formed of a huge gently-sloping depression surrounded by rolling highlands, so the water from thousands of small rivers runs off from the highlands to collect in the basin before draining out into the Paraguay River. The Pantanal was a predominantly agricultural area, dotted with cattle ranches known locally as "Fazenda" - having realised the importance of their home as a unique habitat for wildlife, many of the Fazendas have opened up for eco-tourism in recent years and offer safaris and tours of the area. The wildlife here is staggering, and there is probably nowhere else in South America where you'll be able to see as many indigenous species. There are over 250 different species of birds that have been recorded here, including parakeets, macaws, owls, kingfishers, ibis, storks, kites and hawks, hummingbirds and more, and there are prolific numbers of caiman, anacondas, iguanas, two species of anteaters, ocelots, jaguars, tapirs, giant river otters and thousands of marsh deer. One of the easier animals to spot is the capybara, a giant guinea-pig-type rodent that grows up to 60 kgs and lives in large herds in the swamps. After our morning activities and one final lunch in our beautiful ranch, it is time to leave the Pantanal. We will start driving east to wards Sao Paulo state, and wild camp to wards the end of the day. Estimated Drive Time - 5-7 hours. ( Day 15 to 17 ) Today we have a full day drive to the colonial town of Paraty on the Emerald Coast of the Atlantic! Estimated Drive Time - 9-10 hours. On our first full day in Paraty, we will have an included boat trip around the incredible islands and beaches off the coast. On our second day, we will have free time to explore the town, take a historical tour, walk along the stunning scenery of the coastline, head out snorkeling or diving, or simply relax on the idyllic beaches. In Paraty we Will camp at a hostel. INCLUDED ACTIVITIES Take a boat trip out of Paraty, exploring the stunning islands and beaches and swimming in the idyllic warm water of the sparkling blue ocean : Included in Kitty OPTIONAL ACTIVITIES Go for a scuba diving trip in the incredible oceans around Paraty : BRL 250 Relax and unwind with a massage and unbeatable ocean views at the fantastic Shambala spa : BRL 165 Explore the ocean, islands, beaches, and mangroves of Atlantic coast in a more serene and tranquil fashion, on a sea kayaking expedition around the bay of Paraty : USD 40 Learn all about the fascinating history of Brazil and the Gold Trail, on an excellent walking tour of the old colonial town of Paraty : USD 35 Enjoy some of the best and most scenic treks in the country, on the coastal trails, hails, and 'tropical fjords' near Paraty : USD 50 Try your hand at stand-up paddle boarding by hiring a board from one of the many vendors at the Jabaquara beach in Paraty : BRL 30 About Paraty: Stretching west from the vibrant city of Rio de Janeiro is the spectacular Brazilian Emerald Coast, a dazzlingly-beautiful strip of land sandwiched between the verdant green hills and the sparkling waters of the Atlantic. Tropical islands, deserted beaches and picturesque coves with excellent swimming and diving make it the perfect place to relax and enjoy some optional boat trips and other activities. The old Portuguese colonial town of Paraty, founded in 1597 CE and once a very important port during the Portuguese gold rush of the 17th and 18th Centuries, is perhaps the most attractive spot on the coast. Low white-washed buildings with colourful doors and shutters crowd around the cobbled streets and plaza, full of interesting shops, bars and restaurants. Paraty really comes alive at night, when locals and tourists alike sit outside the many street cafes and congregate in the main square. The town also has a couple of beaches and there are plenty of others in the surrounding area - and this is also a good place for boat and snorkeling trips, which can be arranged locally. 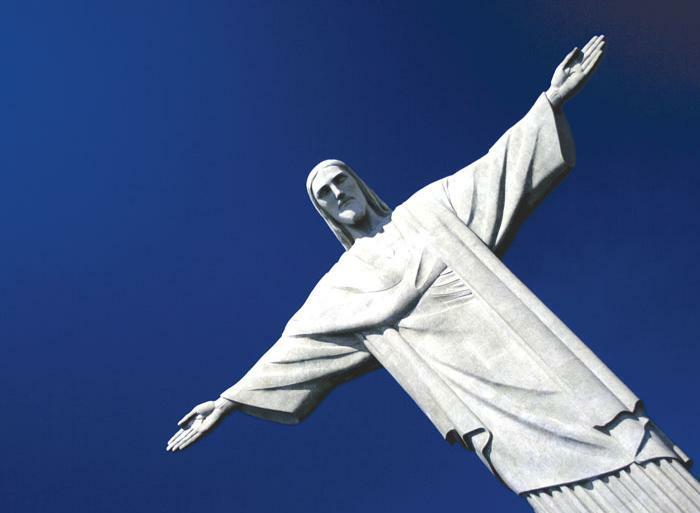 This morning we will drive to the incredible Rio de Janeiro, one of the most beautifully situated cities in the world! This afternoon we will have the opportunity to take an optional visit to a community favela project that Dragoman supports. In Rio de Janeiro we will stay in a great hotel in the Flamengo district, close to the beach and the metro station. Estimated Drive Time - 4-5 hours. OPTIONAL ACTIVITIES Visit one of Rio de Janeiro's famous favelas and the Project Morrinho, a Dragomansupported community project and art installation run by the youth of the area : GBP 52 About Rio De Janeiro: Rio de Janeiro has to be one of the most beautifully situated cities in the world. The stunning Pão de Açucar (Sugarloaf) Mountain rises up out of Guanabara Bay and the sandy beaches of Ipanema and Copacabana cut beautiful curves in the shoreline, all under the watchful gaze of the iconic Art Deco statue of Christ the Redeemer on Corcovado, one of the New Seven Wonders of the World. This is a city with something for everyone - beaches, history, shopping, culture, fantastic food and amazing nightlife. For amazing views of this spectacular city, take the cable car up to the top of Pão de Açucar, ride the train to Corcovado or jump on the tram to the historic hillside neighbourhood of Santa Teresa. If you're interested in learning more about Rio and Brazil, there are several fascinating museums in the city and you'll see some fantastic architecture by wandering around the older parts of the city. Kick back and relax on the famous urban beaches, enjoy a beer or caipirinha at one of the many street-side cafes and then when evening comes you can party the night away - Rio has some unbelievable bars and clubs in the buzzing areas of Lapa and Ipanema. If you need a bit of quiet time to recover, take a walk in the city's wonderful botanical gardens, or escape the city for the day on an excursion to the lush forests of nearby Tijuca National Park. Rio is particularly famous for its huge annual party - the incredible Rio Carnival. The celebration of Mardi Gras (6 weeks before Easter) is a great Brazilian tradition - the whole city goes wild for a full 7 days in a whirlwind of music and colour. Samba schools compete with ever more awe-inspiring dance displays, floats and costumes, putting on marathon performances in the Sambadrome, and street parties are held all over the city.